Among the many dismissals, getting out bowled is perhaps one of the most embarrassing for batsmen. After all, a batsman is theoretically wholly responsible for protecting his stump and having it shattered must not be a good experience. However, it must also be pointed out that when it comes to one-day internationals, batsmen play more attacking shots than they would do in Test cricket and hence that extra risk can often lead to being bowled. So, here is a look at 5 batsmen who have been dismissed bowled the highest number of times in the history of ODIs. 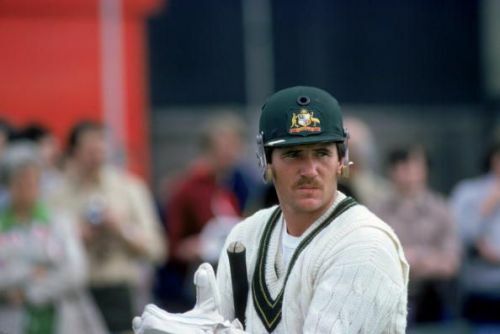 The Australian great enjoyed one of the longest careers in the country’s history and it was under the guidance of Allan Border that the team became a force against following the turmoil of the early 1980s. The left-hander primarily played in the middle-order for Australia and was responsible for managing the tempo of the innings. He was an excellent batsman and could consolidate the team’s position during the middle over before ending the innings with a flourish. He played as many as 273 ODI for the team and due to the sheer number of games that played, it is no surprise that he was dismissed bowled on 57 occasions. In terms of dismissal percentage, Border’ tally stands at 22.62% and it is the highest among the players featured in this article.